It never fails: The second you sit down for a session, the doorbell rings. Rather than scrambling to hide your piece (that four-footer isn't exactly discreet), you could turn to the EV-2. It's hidden in plain sight. 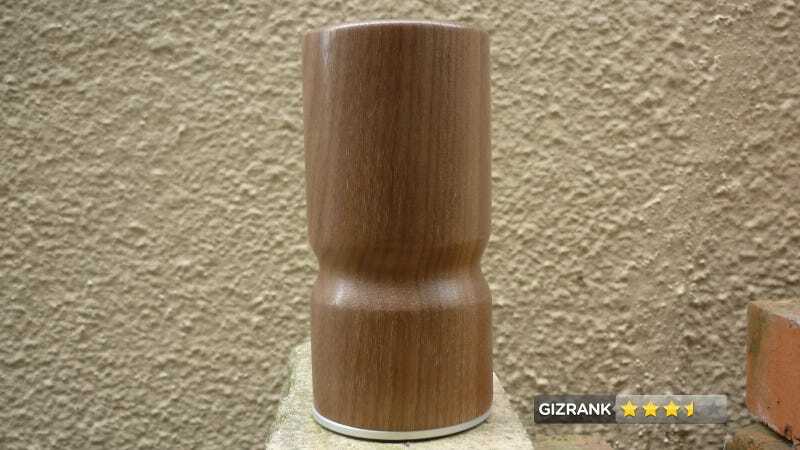 An American-made vaporizer wrapped in a single piece of hardwood. Stoners who don't want a UFO sitting on their coffee table. Gorgeous, albeit closely resembling those comically large pepper grinders they use at fancy restaurants. Its ceramic heating element draws only 18 watts (max), all electronic components are positioned away from the heat source and air intake, and the natural wood finish keeps the unit cool to the touch. It heats up in 2-5 minutes, depending on whether you choose the fast-acting Boost setting. The bowl holds about .2 grams, and is secured with a plug screen and then inserted into the vape for heating. The Epic Vape employs an easily replaceable rubber tube—with a matching wooden mouthpiece—rather than a more conventional mylar bag. None of the coughing fits and lung damage, all the giggles and munchies. The plug screen has a terrible habit of getting lodged in the heating chamber, which spills the spent bowl and requires you to dig it out with a paperclip. Update: The screen I tested has since been updated with a newer design. Per Epic Vape reps, "The OD on the joint of some EL-Bowls was overground causing them to slide too far into the downstem which in turn caused the basket screen to catch. The new El-Bowls are shorter and fatter. Problem solved." I know it's working, I can smell it. But there's no smoke, whoa, look at my hands. They can touch anything but themselves. If you've got $250 and an affection for your lungs, then yes. • Dimensions: 2.75" x 5.75"